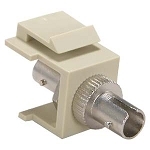 Our Digital Subscriber Line filter and splitter will allow you to get the connections you need at home and in your office. 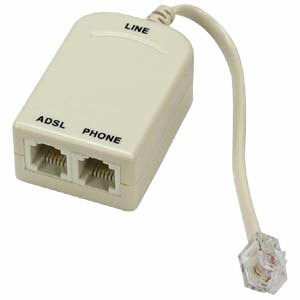 DSL filter allows connections between a wall jack and a voice device such as a phone, a fax, an answering machine, among others. 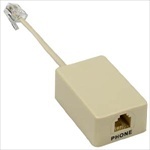 DSL filter provides a single filtered jack for voice device communications. DSL splitters split incoming signals to separate outputs for filtered voice (phone) and data (ADSL). 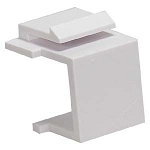 Splitters eliminate any impedance that interfere with communications.